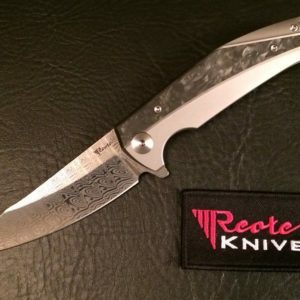 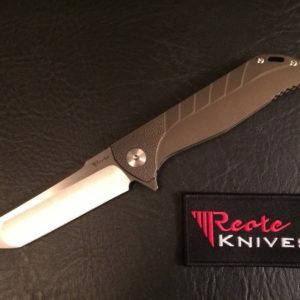 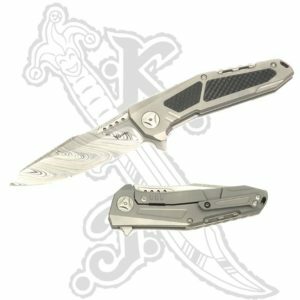 This knife is a full titanium frame lock flipper integral. 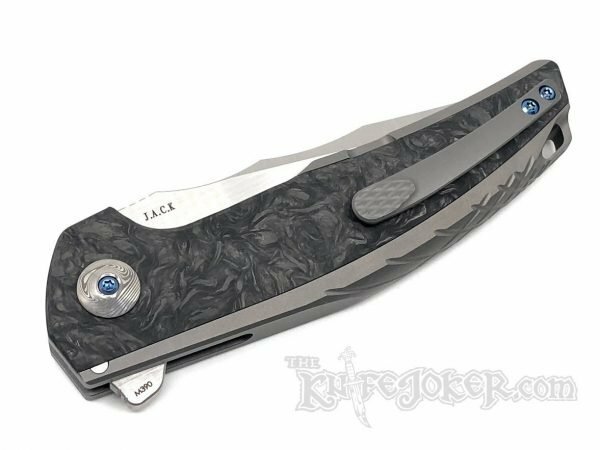 The integral design gives this knife a unique back to the handle and features Marble Carbon Fiber or Brass scales. 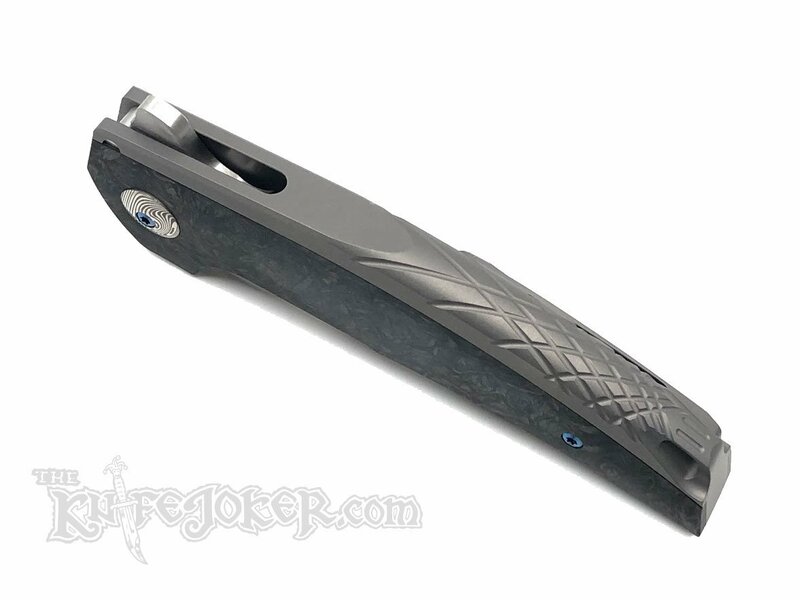 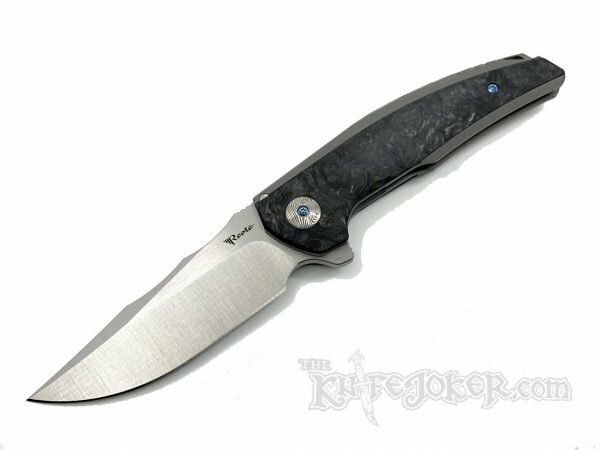 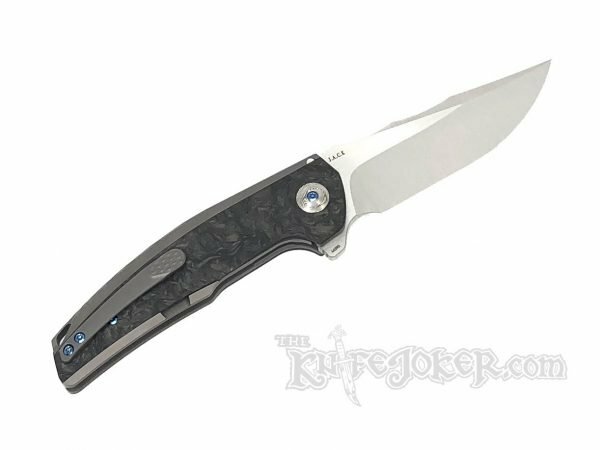 This large flipper features a nearly 4 inch blade riding on double rows of ceramic bearing. 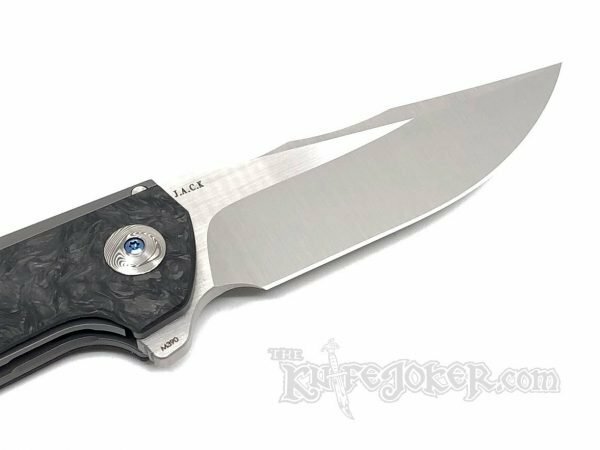 The blade options are either a satin Bohler M390 blade or Damasteel Damascus. 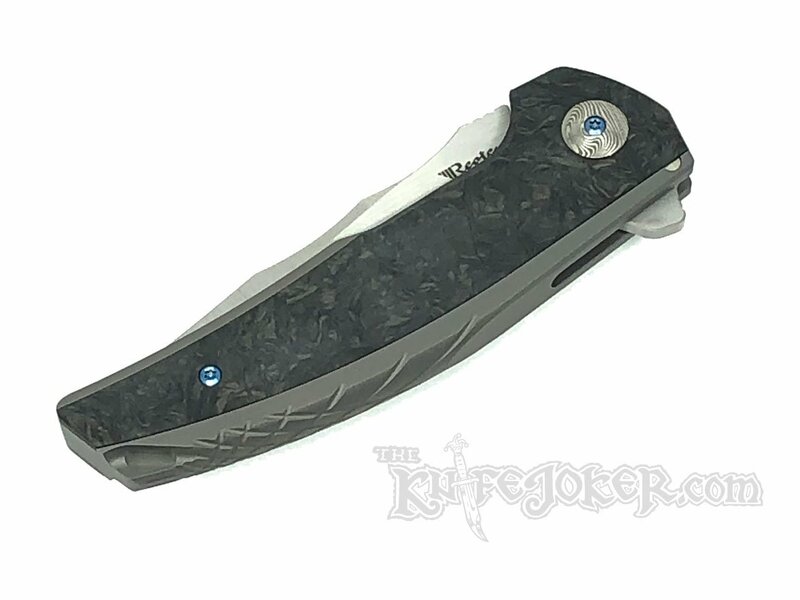 The pivot is made from Damascus and the clip is made from Titanium. 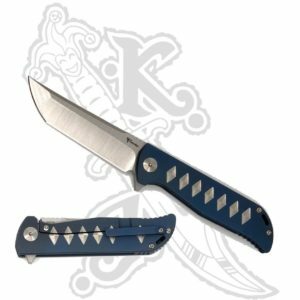 Handle finishes include Bead Blast, Flamed Titanium, Blue Ti, and Bronze Ti. 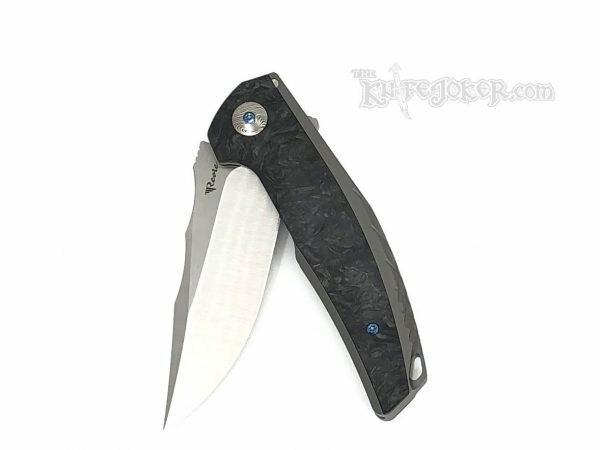 Comes with a plush zipper pouch, cleaning cloth, knife bag, and a Reate Knives velcro badge.